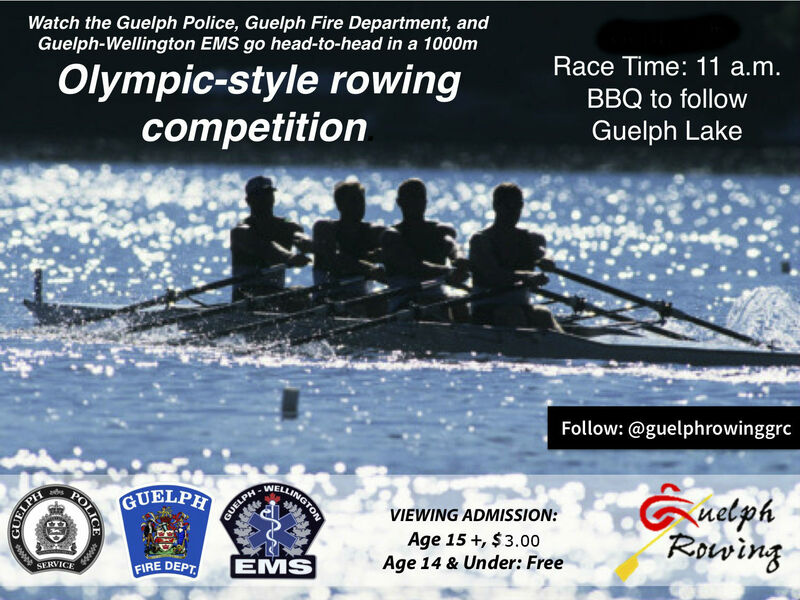 The GRC will be hosting a fun regatta in which Guelph’s 911 teams: Firemen, Policemen, GCRA and Paramedics, will get a lesson on rowing and then race each other on the water. The public is invited to attend the race which will be held Sept. 14 at 11 a.m., at the Guelph Rowing Club, at Guelph Lake. In support of the event the GRCA will be reducing admission fees for the event (ages 14+ $3.00, kids –free). A BBQ lunch will be served, cost is $5.00 per person. Donations in support of purchasing a new boat for GRC are welcomed. Come out to cheer on the 911 teams, visit their information booths and learn more about our city’s emergency response teams and the Guelph Rowing Club.